Once again into the fray of this century! 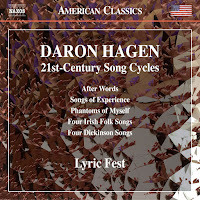 Today, a living American composer, one Daron Hagen (b. 1961). We get five 21st Century Song Cycles (Naxos 8.559714). They are World Premier Recordings. Performances are by Lyric Fest, a Philadelphia-based multi-vocalist-pianist gathering dedicated to the Art Song in performance. It consists of sopranos Justine Aronso, Kelly Ann Bixby, Gilda Lyons, mezzo-soprano Suzanne DuPlantis, tenor Joseph Gaines, baritone Daniel Teadt and Laura Ward at the piano. Those who know Daron Hagen's music well will forgive my ignorance. The Naxos back jewel-case blurb makes note of his operas, symphonies and concertos, and most importantly his more than 350 published art songs. The blurb goes on to assert that Hagen is continuing the art tradition of American icons Samuel Barber, Leonard Bernstein and Ned Rorem! If all that is so, I surmised on reading the blurb before I put the CD on, then this should be much to my liking! Does this music live up to the introduction? Read on. For art song vocals I have in my head a couple of templates: Schubert, Elly Ameling and Dietrich Fischer-Dieskau. All that may indeed raise the bar to impossible heights, I admit. And there are other paths, more modern of course, and other vocal colors to apprehend and appreciate. How does this CD measure up? Quite obviously it is too much to ask an Art Song composer to rise to Schubert's heavenly sky soaring. So also Ameling and Fischer-Dieskau were in many ways definitive performers of such fare. Face it, these yardsticks of measure are supposing a moment in Art Song perfection we should not expect to be equalled let along exceeded any time soon. Then of course a composer today must go her or his own way, and vocalists can give us exceptional performances in a contemporary realm without necessarily touching that set of particulars. What, then of these five Song Cycles and their performances? Do they further the ambitious paths set beyond Schubert by Barber, Bernstein and Rorem? I will not say no. There is much very good music to hear on this program. And what of the performances? I will say straight off that pianist Laura Ward leaves nothing to be desired given the parameters of the works. 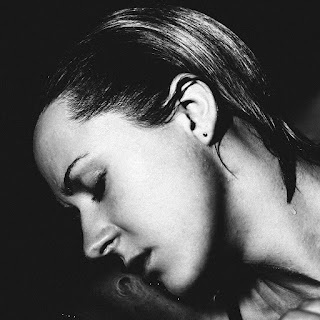 The seven song "Phantoms of Myself" (2000) with soprano Gilda Lyons is in performance and as Art Song stunning. The cycle covers a 24-hour day via the selected poem-texts of Susan Griffin, feminist and poetic strength. The cycle was initially commissioned for first performance by Ashley Putnam. Ms. Lyons brings her own magic to the songs. Then there are the substantial and worthwhile presentations of first recordings of four other cycles: "After Words" (2013), "Songs of Experience" (2007), "Four Irish Folk Songs" (2009), "Four Dickenson Songs" (2014). All have a poetic lyricism, a tonal Post-Romantic aura, an expressive foundational communicative quality and a good deal of musical subtlety. 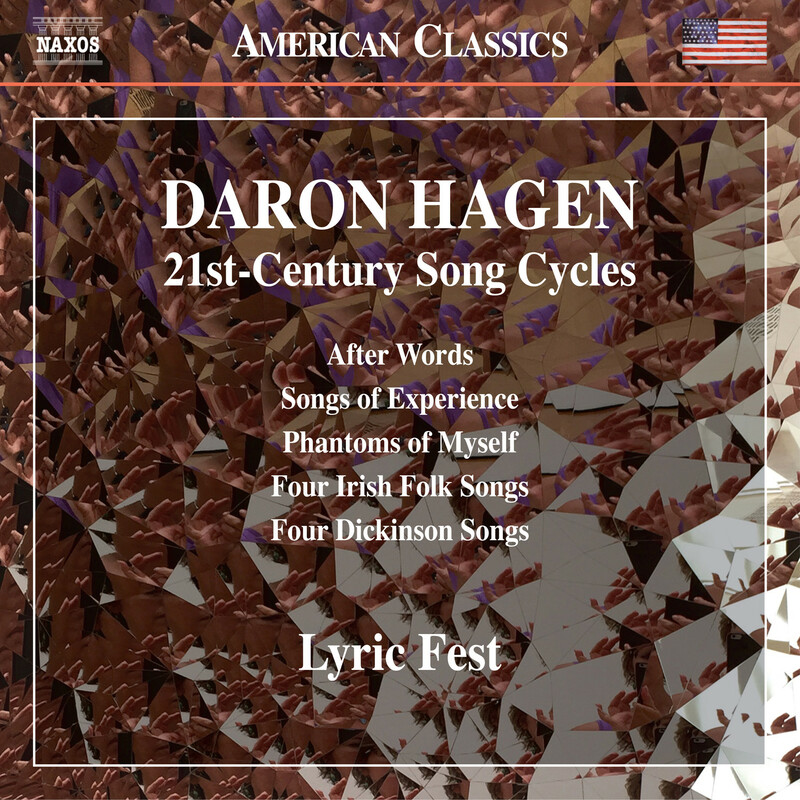 Is Hagen carrying the mantle of American Art Song development today? Undoubtedly, yes. Anyone with an interest in such things should find this collection compelling and very worthwhile. Recommended. What do we mean right now when we say in terms of music "The Modern?" I surely must think I know. After all this blog is called Gapplegate Classical-Modern Review, right? I generally believe how a term is used in the active contemporary realm is the most instructive. So I do not especially care to assert on some abstract, peopleless level what the "Modern" is for all eternity. By nature there is a fleeting quality to it. Some people concentrate on "correct" usage, assuming that there is a valid, permanent meaning ascribed to a word, perhaps in extremis stemming back in Biblical terms to what Adam purported to name everything in his world. I balk at such things. What at the moment we mean by "Modern" is what matters to me. And since last century it does mean a body of somethings distinct from other things. There is the Modern Period, perhaps in musical terms everything composed from perhaps 1910 or so through to today. Then there is the "High Modern," what was most advanced and marked as "Modern" in music made between maybe 1946 to 1980? And now there is simply everything we might experience in the Contemporary New Music or mainstream Classical spheres, being known by that term simply because it has been composed in our present day. This is not an exhaustive roundup since there still is all the music composed from say 1910 on, the particulars of what that can be. My blog certainly tries to answer the question with every posting. And there is no one answer. For the moment the present-day Modern category concerns me. That is so because today's posting covers Small Stones, Modern Piano Music (Navona 6139). It is a 32 minute EP that presents two ambitious Sonatas for piano, one by Jason Tad Howard, another by Daniel Perttu. The music is well-performed by Nancy Zipay Desalvo. As the self-defining "Modern Piano Music" subtitle makes clear, this is "Modern" in name as well as time period. So what then is modern about it? Jason Tad Howard gives us his "Piano Sonata No. 2, Nine Short Shorts for Piano." Daniel Perttu in turn presents to us his "Sonata for Piano." Nancy Zipay Desalvo brings to both works a fine, dramatically interpretive sensibility that in no small part accounts for the success of the program. So how, then is this Modern Music? The answer is not facile or so plainly obvious as it might be for other works we could hear under this rubric. Both works are firmly tonal, which should surprise nobody. Both have a sort of "Neo-Expressionist" vitality to them. They sometimes remind one of those transitional pianistic voices that graced the Early Modern period, Sorabji, Ornstein, Scriabin, Ives in some passages, Alkan, Prokofiev, and so forth. The music coming as it does now warrants some kind of "Neo-" prefix. But too the music is in no way especially identical to the earlier Expressionist pianistic proponents. And that is so logically to the extent that the individual qualities of each composer reaches out to our listening ears. The most obvious element when you first listen is to be had in Howard's Sonata. There are eight brief movements and one slightly longer end statement. The point becomes not some unified development or even variational span to my ears. Rather, each snippet builds atop what has come before, in the end forming a collection of phrasal-melodic-harmonic possibilities that relate one to another by virtue of metonymy and lengthening more so than some simple organic wholeness. Perttu's own Sonata is a dash forward into cascades and waves of momentus sound. The individual element is no doubt the manner in which Perttu builds the expressions in seamless and dramatic ways. This is a volume one might not expect in that the music does not easily fit into any obvious movement in Post-Modern Modernism. If you simply forget all of that the music speaks eloquently and memorably. Ms. Desalvo brings every nuance to life and convinces us that the music is very worthwhile. 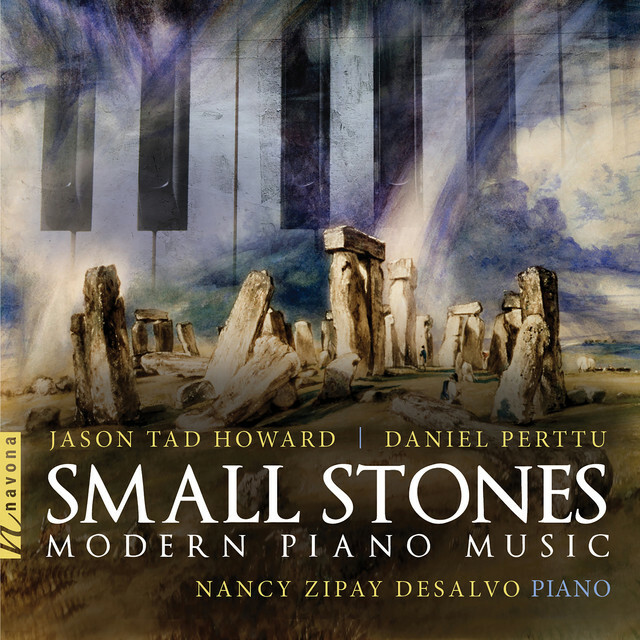 Small Stones will find sympathetic vibrations no doubt in anyone who responds readily to pianism of a high order. It is not music to jar you into another world of sound. It is music that has much continuity with traditional pianism from Chopin on. Yet there is something singular and winning about each Sonata. Give this one a try and see what you think. I myself am happy to hear and rehear the music. The advent of the saxophone in the music called Jazz has by now been subject to a rather long technical-expressive development. From the first players had a vision of the sound of the instrument generally far more robust and aurally more complex than so-called "legitimate techniques" would warrant. By the time of the bar-walking honkers such as Big Jay McNeely (and Illinois Jacquet before him) a richly overtoned sound had become a fully fleshed out way to play, and audiences tended to approve with enthusiasm. On the art-avant fronts of modern jazz we note the rise of Albert Ayler, later John Coltrane, Dewey Redman and Evan Parker, to name some significant players. The harmonic fullness of the sax was activated by such pioneers with a consistency and performative rightness that gave the instrument new expressive life. One need only think of Coltrane's evolving approach to improvising on "My Favorite Things," where he would pivot in varying skips around a root, over time pinpointing the runs with harmonics on the soprano that became an ever more important element each time he soloed live in the years following the initial Atlantic release. Such things became very much an expressive element of so many saxophonists who came after within the Hard Mainstream and the post-New-Thing streams of performativity. 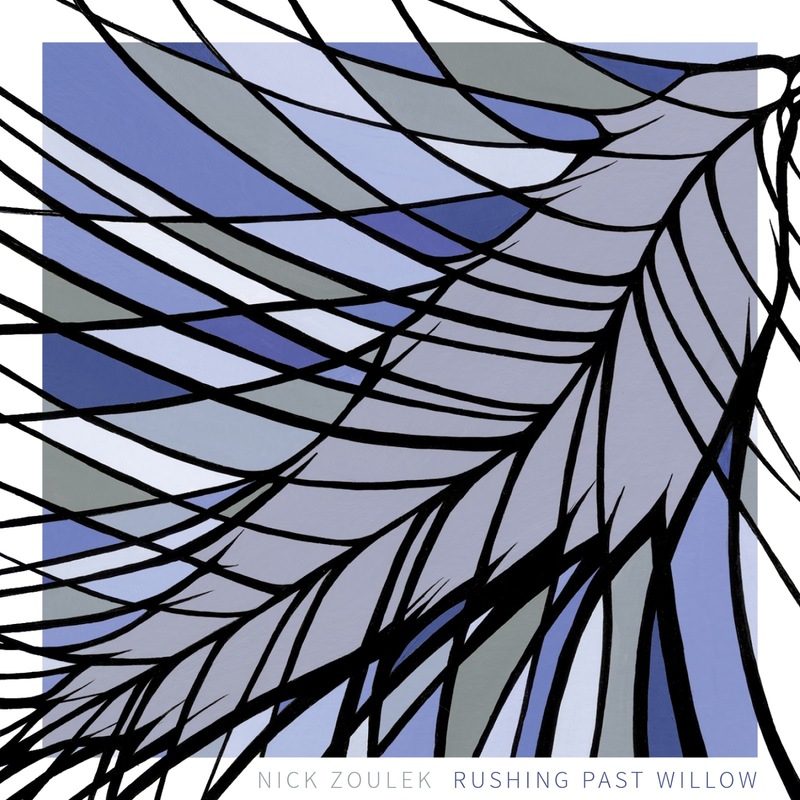 In many ways a concentrated culmination of this school of saxaphonistration comes forward with a new album by Nick Zoulek, Rushing Past Willow (Innova 953). Twelve solo works for alto, tenor and bass saxophones are the order of the day. The music has evolved over the years from a number of distinctly singular improvisations. With continual performances each became further refined as a cogent Modern composition. So though there is a definite Avant Jazz foundational element to these saxophone works they veer towards Modern Avant New Music in their formal trajectory. Each piece is a working out of root-skips patterns that are tonal and sometimes modal yet are very much sound-colored by the palpable and very musical control Nick has over each saxophone. The music has often a whirling dervish quality, with continual spins around core motifs that via circular breath control and added vocal contributions become hypnotic and soulfully performative. The rich harmonics and overtones create multiple tones, primal harmonies, "orchestrational" simultaneities both aurally satisfying and timbrally stunning. Of course the bass sax gives Nick the most to work with for split tone possibilities, yet each sax has been fully pinpointed for an artistic exploitation of the multiple strands of possibility. The more you listen, the more it becomes convincing. 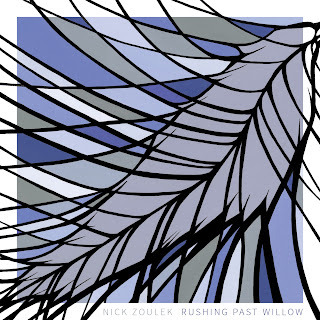 Zoulek's exacting control and imagination make of this an aural joy! Anyone interested in sound color and extended techniques will find this substantial I have no doubt. Start the trip with a first listen and you will see what I mean. Excellent! The body of New, Modern Music for percussion ensembles continues to grow and develop. 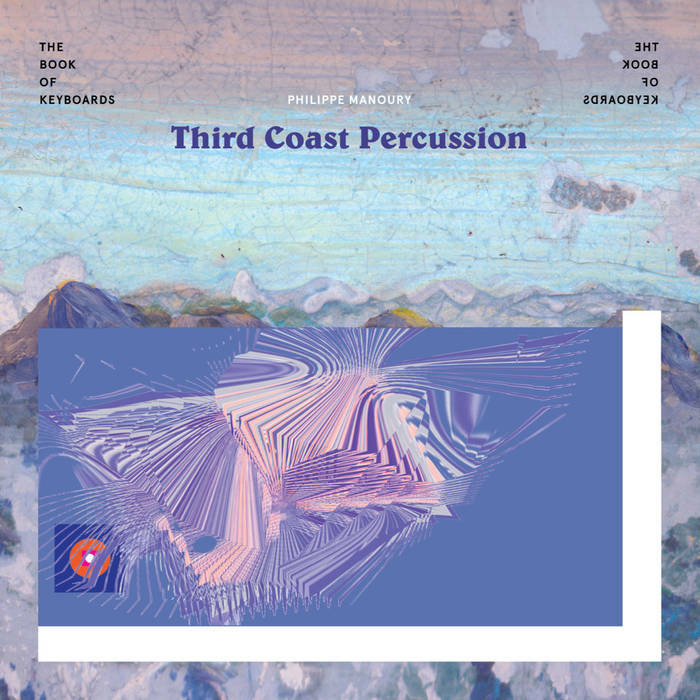 Thanks to cutting edge ensembles like Third Coast Percussion composers can create new works with some confidence that they can get a proper hearing if conditions are right. The CD at hand is a fine example of the continued excellence of new works appearing in the present day. Today's program gives Third Coast Percussion a chance to shine brightly on mallets. Philippe Manoury gives us two of his evocative compositions on The Book of Keyboards (New Focus Recordings FCR 187). The two works cover a kind of linear modern territory that alternates between full out contrapuntal energy thrusts and more reflective, more intimate soundings. The sound colors possible in the mallet zone are clearly an important factor in the music we hear on the program. There is a relation to the gong and key tradition of Thailand, the Philippines, Bali, Java and so forth. Rather than tightly coil and repeat phrases a la minimalism this music is more through-composed and endlessly varying. It holds some lineal relation to early Cage-Harrison works for percussion. In the whole of those associations however there is a marked personal development to be heard. All that is what I bring to the table hearing this music. Turning to the liner notes I get a more formal and insider view of that is up. The liners talk of the extraordinary demands Manoury makes on the players. Part of the score supposes that the ensemble constructs an instrument via the specifications Manoury lays out in the score. The original specs were given by composer Xenakis: to allow choice and to be built from scratch. Manoury adds some other requirements. The result is the sixxen, which appears from time-to-time in the title score and happily so. The liners go on to talk about Manoury's post-dodecaphonically originated closeness to Boulez, and the sheer difficulty of parts of the scores in the execution realm. All this is quite helpful to take in the full impact of repeated hearings. In the end, though, we are drawn in by the aural sensuality of the music, its vibrancy and liveliness. At times the music is nothing short of spectacular. As you listen you might ask yourself if this particularly demanding scenario is fully necessary for an appreciation of the music as it speaks to us. The answer is that is is the very thing that keeps the music from becoming a new world music per se or in other words a structural clone of world musics related to the sounds here. Without what Manoury brings to the notes and sequencing it would not be Manoury music. Perhaps that is obvious, but only after you have lived with this music with some intimacy over time. So that is what strikes me. The music has great depth. It is difficult to play at times but not difficult to hear.The sensual pleasure of mallet instruments is at the forefront. The form the music takes is the identity marker and it is what sets it apart. All told, this is music of singular significance. And it will appeal to anyone predisposed toward the sounds we hear so nicely. The substance of the music makes it especially worthwhile. I recommend this album without hesitation. If you feel like you would like it, I have little doubt that you will! Every day brings more new music and when it is very good I am very happy. I must say that there can be incredible music in the offing, and without the review connection I would have missed some singular releases over the years. 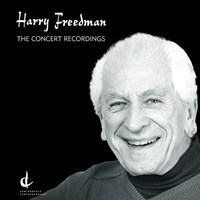 I feel like that after having heard a number of times Harry Freedman: The Concert Recordings (Centrediscs 23517). It is a sort of mini-retrospective from a Canadian composer of true merit. Orchestral works from 1960-2003 get fine performances and give us an insightful look at the magic of Freedman's music. He lived from 1922 to 2005. Like some select others on the new music front he amassed a significant body of works (based on this vibrant sampling, anyway) and from where I sit was not given the recognition he deserved. There is never a time to appreciate music of merit that is really "too late." The Concert Recordings gather together some CBC Radio broadcasts with a fine aural staging and worthy performances. It all sounds as great today as it might have back when these broadcasts aired. As the liner notes for the CD assert and as my ears affirm, Freedman was a masterful orchestrator. The sound palette is ever of the most subtly brilliant sort, regardless of the stylistic variables of Freedman's music over time. There is mystery in the music, all informed by a Modernist expression but not all of a piece. There is change, development, constant creative thrust to be heard. Perhaps the orchestral palette could be at times described as sort of Neo-Impressionist? Not entirely always and not in some derivative way. We get a full sampling of orchestral Freedman in a fine fettle. There is "Borealis" (1997), "Graphic IX" (2000), "Indigo" (1994), "Manipulating Mario" (2003), and "Images" (1960). Nothing is insignificant. All is worthy of our concentrated attention. I will not attempt to pinpoint stylistically the ins and outs of the works on the program. Your own ears will tell you what you hear and it is enough to say that there is originality and highly expressive results throughout. This might be the sleeper of the year! What is clear is that Freedman was a master of the Modern Orchestral Arts! Put this one on and pay attention if you will! It is well worth your eartime. 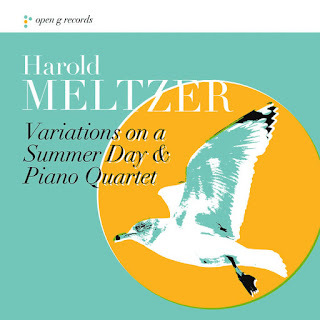 I have had the pleasure of encountering the music of Harold Meltzer via a harpsichord work in an anthology.of harpsichord music I covered here some time ago (you can look it up by typing Meltzer in the search box at the top) and, most importantly, I reviewed his Naxos CD in 2010, which I loved (see the Gapplegate Music Review article of November 19, 2010 for that). 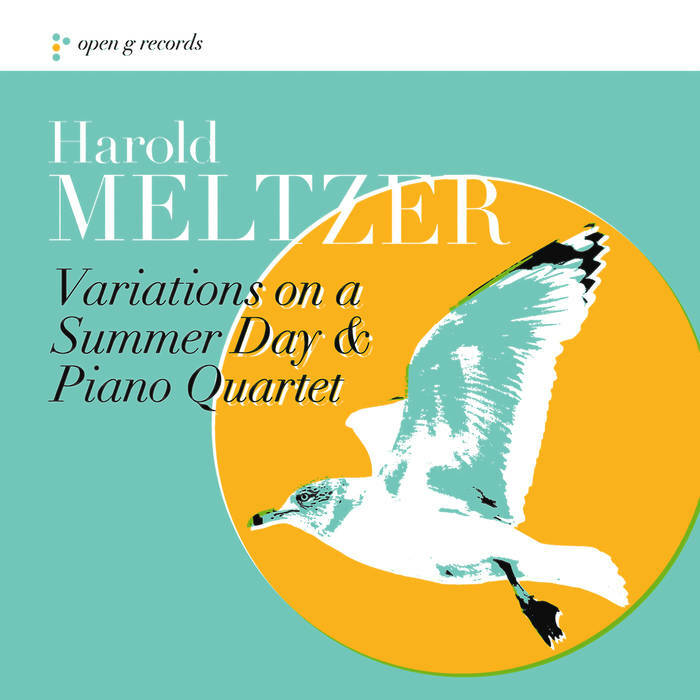 Now it is time to turn to the new CD at hand, Meltzer's Variations on a Summer Day & Piano Quartet (open g records). The liner notes to the album sum up the composer's recent development. Andrew Waggoner makes note of Meltzer's 2007-08 Brion (on the Naxos release I reviewed, see above) as the culmination of the influence of Stravinsky and Donatoni. 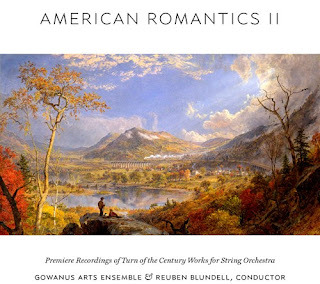 The later works heard here, Waggoner continues, move in a more individual direction at the same time as they tip the hat to the Pastoral American composers of the '30s and '40s of last century, and also make a connection with Copland's beautiful "Piano Variations" and too his "Piano Quartet." All this does not contradict what I hear in this music. I must admit I am not so familiar with Donatoni. Nevertheless I hear the other influences mentioned without there being a derivation. These works bask in their originality at the same time as they offer a lively, lyrical and cogently Neo-Pastoral way ahead if you will. Both works are substantial and have a winning aura about them. The "Piano Quartet" has none of the heavy romantic Germanicism of Pre-Modern chamber music. It is agile and light of foot, with lots of unexpected twists and lovely turns within a forward momentum. "Variations on a Summer Day" brings in a central solo soprano part interpreted sturdily by Abigail Fischer. It all glows with a lazy summer sun ahead and the nine-piece chamber mini-orchestra scores with some truly special notefull-orchestrational tone paintings. There is, then, some very welcome breeze freshening-- there is a refreshing and beautifully Modern music lyricism on display in this album. Harold Meltzer is a phenomenon. The disk shows us how that is! Wonderful. When we reach a certain point in our music listening every new work we hear adds to the understanding of the whole of what has been and will be. Before we grasp the continuity of music as a whole each new thing seems to have no apparent relation to another thing, sometimes. 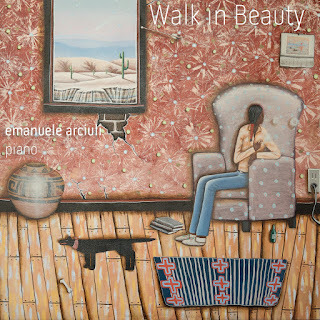 Those who have come to the music well and drank deeply of its cooling nectar should welcome pianist Emanuele Arciuli and his Walk in Beauty (Innova 255, 2-CDs), a survey of Modern Contemporary New Music for piano that has thematic continuity. There are in fact two overarching thematic components, one an abiding evocative representation of nature, and the second, Native American culture through music composed or inspired by indigenous composers. In all these shades of interrelated meanings we experience virtually the all of New Music possibilities side-by-side, Post-Minimalism, High Modernism, Radical Tonality, Expressionism, a kind of epistemological United Nations of contemporary styles, with a basic American center node. Emanuele Arciuli shows his enormous interpretive acumen. Each work is given a surety of pianism, an extraordinary rightness of musical saying. In the course of unravelling this two-CD set we encounter all the mystery and beauty the program promises. So there are individual identity pieces by the likes of Connor Chee, Peter Garland, Kyle Gann, Michael Daugherty, John Luther Adams, Raven Chacon, Martin Bresnick, Louis W. Ballard, Jennifer Higdon, Peter Gilbert, Carl Ruggles, Brent Michael Davids, and Talib Rasul Hakim. Some are well-known to us, others less so; some are Native Americans, some just give out with a natural ethos and foundational spirit-singing. All contribute uniquely and stand up alongside one another as a gathering of musical voices in a great saying. And so this program fits itself into what contemporary music can be and is now. We no longer have to present a stylistic monolith that is meant to replace all with itself. No, this music creates its own bringing together to say in musical terms what can best be said in musical terms. And for all that the saying is remarkable on the level of compositions and performances. With a coming regeneration of springtime this music stands as a sturdy and unflaggingly bright wayside directional beacon. It is however for any season, for all seasons. It points but it also supremely IS. Listen. Listen again. In the course of the daily rounds I get the mail, open up the packages of new CDs for review consideration, hear new ones and listen to ones in the regular listening-review rotation. Oh, and in the mornings first light and beyond, I review one or more albums while listening a final time to each. First listens determine whether I like something well enough to review and then it goes from there. So Megumi Masaki and her MUSIC4EYES+EARS (Centrediscs CD & Bluray 24017). Pianist Masaki and her program of contemporary sounds (and sights) made it past the first listen and in subsequent listens took ready shape before me. Like many CDs I end up reviewing a first listen gave me a basic understanding and appreciation but it was only in subsequent hearings that I understood fully what was in the offing. 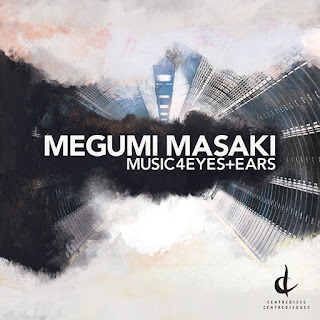 Megumi Masaka's MUSIC 4EYES+EARS is as the title indicates. The accompanying press sheet spells it out: "These works are designed to explore diverse concepts, performance techniques and interactive technologies in live piano + multimedia performance. Central to this project is how the interaction of image. movement, text and sound can create new expressive potentials as a whole." The program of compositions indeed address that. 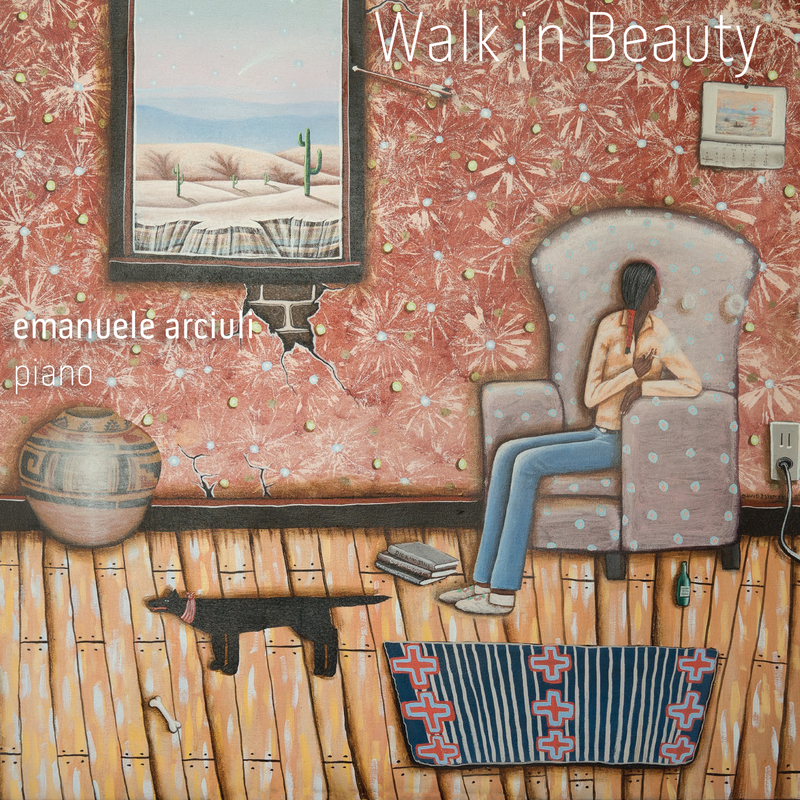 The CD contains two works by two Canadian composers, Patrick Carrabre and Keith Hamel. They are each a fascinating joining of elements in dramatic juxtaposition, soundscape-y at times and otherwise tonally adventuresome and freely combinatory. The piano has a central and notable role to play in all of this and Ms. Masaki does a beautiful job realizing the parts with a poetic pianism that brings the notes to vivid life. The visual multimedia elements of course cannot be apprehended on the CD, but the spoken, sung, electronically enhanced and instrumental parts all bring forth a very scenic, synethesially near-visual immediacy in their connotations. So "Orpheus Drones," "Orpheus (2)." and "Touch" have a narrative quality to them as they also present a vibrant sound panorama fascinating in the sensual-aural realm alone. There is a second disc, a Blu-Ray program that includes "Touch" and three additional works. Unfortunately I do not currently have Blu-Ray capability but I imagine there are visual components to be seen and multi-channel audio? Based on the CD I can only imagine there would be much there of interest and fascination. And the more I listen to the CD, the more I find it rather riveting. Some parts seem post-minimal, some post-Stockhausenian, some elsewhere altogether but beautiful in the piano and sound color narratives that consistently take place. "Touch" for live computer processing and piano by Keith Hamel is quite something remarkable in its unfolding. Then again Carrabre's long two-part "Orpheus Drones" that includes Margaret Atwood's poetry has another take on the possible that is most definitely worthwhile and memorable. Without knowing exactly how the Blu-Ray disk goes I nevertheless do not hesitate to recommend this album to you. The piano-not-piano interplay is not quite like anything being done out there today. The music holds its own. It is new music with an emphasis on the NEW! So check it out if you will. 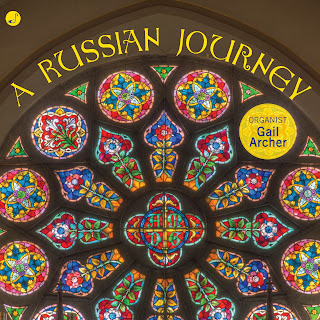 Gail Archer, A Russian Journey, Organ Music of the "Russian Five"
When an album presents to a listener like me a body of works I might only dream about and do not expect to find, it is an occasion. And then I listen with avid interest. That is what has happened on the recording at hand. It is organ music of the Russian Five! Plus one. That is, we have a selection of organ works by Mussorgsky, Cesar Cui, Ljapunow, Glasunow. Slominski and Alexander Schawersaschwili. I speak of the album by organist Gail Archer, A Russian Journey (Meyermedia MM17035). Of course the Russian Five were supremely important original figures in the development of a genuinely independent Russian classical identity. Mussorgsky alone was a titan but none of them are at all explained away by the Romanticism in the air all over the West at the time. What is primary is a continuity with the classical tradition but a search for Russian expression and in the process an oblique path towards a Russian Modernism that only comes to its fullest flower with a Stravinsky, a Prokofiev and later a Shostakovich. To keep all of this in mind as we listen to this program of organ music is to feel a creative turbulence and an expressive movement that only becomes clear in the teleology of time passing. The music we hear on A Russian Journey is very much in the organ music lineage of the later 19th Century. So we hear a relationship to the symphonic fullness of Franck and his school, yet also a clear pulling away with the Mussorgsky especially, and truly present in more or less subtle ways in the rest. The critical contrapuntal influence of Bach can also be heard to greater or lesser degrees, especially in the various preludes, fugues and the toccata. All of this music is not inconsequential and well worth repeated hearings. The organ version of "Night on Bald Mountain" is fabulous and revelatory. Who but Mussorgsky could craft such an expression when he did? But any Russophile of a serious sort will welcome the entire program. The performances by Gail Archer have heart and expressionist aplomb. In the end I recommend this very much. The audience may be self-selecting. You are either someone who wants to hear this for all the reasons you do, or you do not. In other words, this is probably not the album to transform you into an organ music lover nor does it lend itself especially to function as a first stab at Russian classical appreciation, though it could if you come to it as an organ enthusiast. In the final round this program offers much to treasure. Get it if it sounds like it has your name on it. 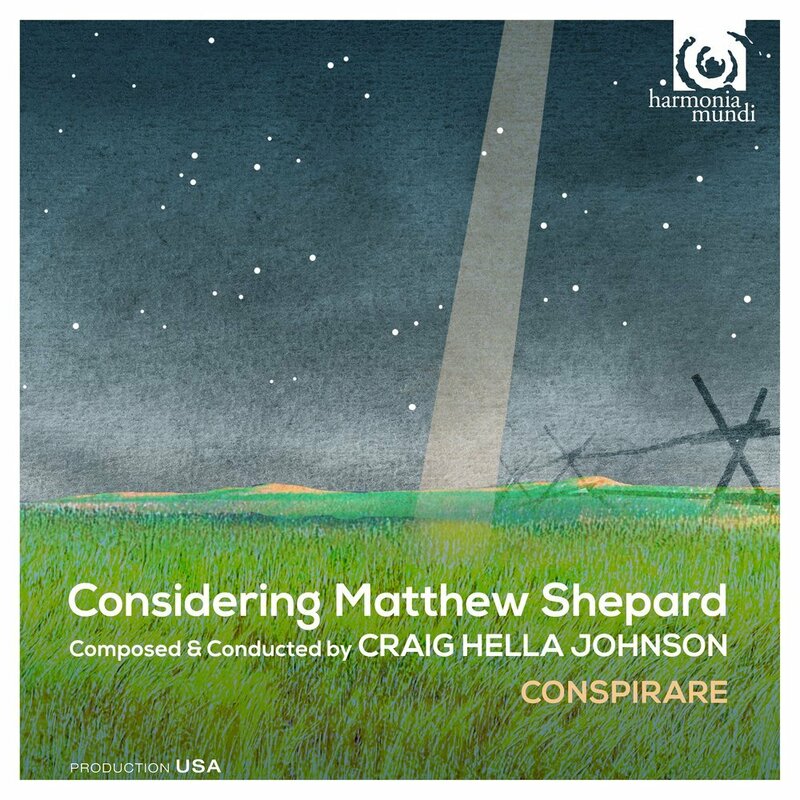 I was sent Craig Hella Johnson's ambitious choral-instrumental work Considering Matthew Shepard (Harmonia Mundi HMU807638-39 2-CDs) some time ago. I liked it on first listen but then the pile it was in became left off to the side in the hustkle and bustle of my life then. I rediscovered that stack behind other stacks recently and came back to the album. Subsequent listens made me feel ever more sure that the music was quite excellent and needed coverage despite the delay. So I turn to it today and hope to do it the justice it deserves. The exceptional group Conspirare does the performance honors along with select vocal soloists. And they are the right performers in their ready ability to adapt themselves to the considerable and variably pan-stylistic, eclectic demands of the score. The work is about the infamous hate crime, the brutal beating and murder of Matthew Shepard because he was gay. There is the chain of events and the long mourning, the long search for meaning in the aftermaths of protests and outrage, the senselessness of it all. Johnson makes of it all a touchingly direct panorama. It is eclectically tonal, pomo in a way surely. It may well belong to an American patchwork quilt of sounds, a lineage that certainly includes Bernstein's Mass in its rooted recent past. 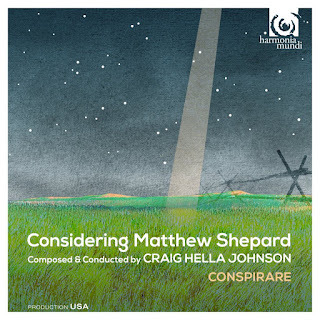 Considering Matthew Shepard movingly and effectively combines a bit of minimalism with lyrical and theatre song, songwriting-singer traditions, earthy hymns, blues and gospel tinges, and choral vibrancy in telling the sad tale and in the end redemption of a kind we only get after the worst has happened. That is if we care to reflect upon the outrageous happenstances of some modern days and nights. There is strength and fragility there to be heard. And a power much more than the first impression of eclecticism reveals. No, you must listen more. And after a time you find that this music very much speaks. It is much more than the sum of its parts. It very much hangs together as drama, as documamusic, as ponder piece on the sad realities of events sometimes, and a healing in the end. Or a gesture towards that end. It is not music intended to cut the edge of possibilities. Instead in draws upon a broad swatch of American local musics to be of a place as much as of a piece. All that makes the music and its performance a welcomely moving thing. There is lyricism in its healing. You may well love it. I think I do. Turn-of-the-century America liked to see itself in its arts as both simple and ineffable, occupying in its drams and in its dreams a natural landscape fashioned and improved by humankind for its pastoral pleasure, along with the virtues of hearth, family, home and community in an ideal cast. Reality was in part these things but then all sorts of complexities and ambiguities, even in downright contradiction, namely its industrial juggernaut, inequalities, and the struggle towards Modernity that was to become paramount in a few years, but at first a direction only lurking in the woolgathered brown studiousness of future artists. The freeze frame of a land poised to change rapidly yet still seeing itself with the lens of an ideal past can be heard in a volume of short works by the composers stylistically prior to the bold Charles Ives. They were roughly contemporaneous with each other in an overall field that Charles Ives found himself reacting with and against when he first came upon the scene. It helps us to hear and contemplate the Romantic matrix out of which sprang American Modernity. Plus it is music worthy of a hearing on its own terms. And it helps us more fully to grasp American Neo-Romantics like Samuel Barber who were to appear in the wake of these artists. And so we have a volume directly relevant to such concerns, American Romantics II (New Focus Recordings FCR 166B). It is a worthy grouping of short examples performed devotedly by the Gowanus Arts Ensemble under Reuben Blundell. There is a serenity and transparent depth to these performances that seem just right. Nothing becomes mawkish as perhaps some earlier recorded versions could. Even the bookend Carl Busch arrangements of Stephen Foster songs are luminous and reverently staged. Beyond the surprisingly moving Foster arrangements we are treated to softly glowing works by the likes of Felix Borowski, George Whitfield Chadwick, Arthur Foote, Paul Theodore Miersch, Ethelbert Nevin, Edgar Stillman Kelly, Martinus Van Gelder, Bernardus Boekelman. Louis Lombard, Arthur Bird, Charles Wakefield Cadman Not all of these names you will know, I suspect, and some you will. Yet taken all together we get a true representative example of what the first end-point of American Romanticism might sound like in retrospect. And the strings have a way about them that is almost early-music-like in their very retrained vibratoes and the plaintive matter-of-factness of it all. The sort of brio vibrato madness with which these works might have been performed some years ago disappears to be replaced by performances that are so much more convincing. In the end we are given the chance to re-experience these works anew. For me anyway I feel like there is a new life to this music here. It is much more congenial and even touching to hear these somewhat naive pastoral works the way Gowanus and Blundell approach them. Bravo! After listening to, liking and reviewing Alla Elana Cohen's Red Lilies of Bells, Golden Lilies of Bells on these pages (see November 9, 2017 article here), I was ready for more. Happily I did not have to wait long, for there is a new album of Cohen works entitled Jupiter Duo (Ravello 7978). 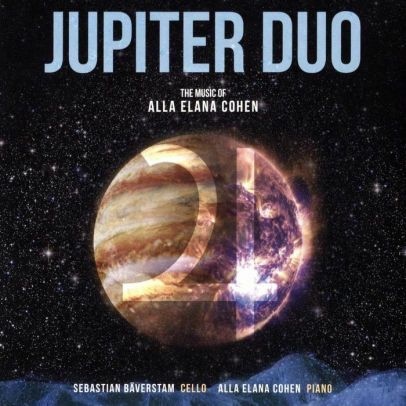 It is an engaging sampling of Ms. Cohen's very expressive music for cello and piano. Sebastian Baverstam has a great deal of presence on cello. Ms. Cohen flames and sparkles brightly on piano. We have a chance to hear seven multi-part compositions on the program. "Book of Prayers" appears twice in two different segments. Then there are "Sephardic Romancero," "Three Film Noir Pieces," "Third Vioil," "Spiral Staircases," and "Querying the Silence." Expressionism differs from Romanticism like a third-generation offspring resembles her grandmother. Related yet NOT the same. If you factor in a folk expressionism like one heards in world musics, African music especially, the chronology may be backwards? Not so, however in the Classical lineage, where mostly we go from R to E.
All that to introduce the idea that these works and their vital performances are more "Expressionistic" than Romantic. There is much in the way of passion, and a harmonic bouquet of brilliant edginess. It is way beyond some overt sentimentality and very Modern in its more diffuse feeling. The most important thing is that Alla Elana Cohen sounds Russian, then Jewish, and then totally herself. This is Ms. Cohen's own play of passion that she and Mr. Baverstam exude heartily and concentrically in their readings. Now that is what you might expect. It is music that I find increasingly relevant to my ears. I love the music and I love how expressively it is performed by the duo. It is very beautiful and I would say too that it is very original. Cohen sneaks into my hearing and I find her important. That is, important to me. You listen and see if you feel the same. It is very much worth your ear-time! Highly recommended. If you are looking for evidence that Eric Satie's time is now, you don't need to look very far. The Radical Tonality movement often enough eschews a conventional minimalist stance to go back to its roots in the Velvet Gentleman. Or anyway, that is what you can hear at times in their music. Composer Peter Garland has healthy affections for the long-dead master. Or he does at any rate in his recent album of piano music, The Birthday Party (New World Records 80788-2). 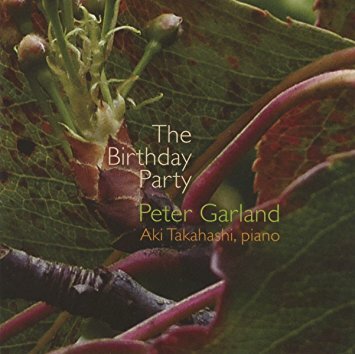 Aki Takahashi does the honors as pianist for this program of three multi-part compositions, "The Birthday Party" (2014) and "Blessingway" (2011-12) for solo piano and "Amulet (After Roberto Bolano)" (2010) for four pianos overdubbed. These Garland works are more expository than repeating in form. The repetitive parts move forward as they restate. They do not circle in a trance-like experiential zone so much as they reveal a kind of built-for-development poeticism. Everything said is a furtherance of the initial said-phrasing, mostly. There is in that a connection to what Satie sometimes was after. There is a rich lushness and beauty to the music, a reflection pool of mirroring and remirroring that has a contemplative bent. In that way the development-in-similarity germination takes us past Satie into the more consistently furthered syntax of an after-modern form of musical discourse. All three works open up vistas and sing melodically and lyrically without resorting to overly romantic or Winstonian hackney. It is a tough path to hew amd remain poetic and relevant. Peter Garland does it well and does it in ways that will give pleasure to the more causal auditor who merely wants pleasantry and nevertheless satisfies the more demanding, more sophisticated music heart-minder. So go forth and add, multiply or divide with this music. It bears close examination. Ms. Takahashi seems like the perfect exponent as well. Listen and enter an enchanted space! It is a tendency of new music at times to be like a Zen Rock Garden. The first experience of a work can seem sometimes like total plain-i-tude, obvious in its elemental there-quality, yet meant to evoke something more than its sensual presence alone. I tell folks who complain about these things, in visual arts as well as new music, that the point does not rest in facticity at times. It is the concept underlying it that the artist wishes to point you towards. Maybe in the late '60s that could get extreme, where the program describing the work was seemingly and paradoxically more important than the work itself. However that tendency can also lead to an eventual absorption in the music per se in time, provided that there is intrinsic worth there. If not, then not! 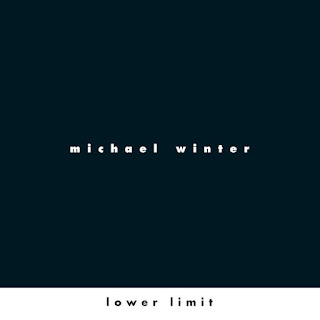 Michael Winter's album of compositions, entitled Lower Limit (New World 80798-2), certainly falls under the rubric of a sort of Zen Sandbox in tones. And so what is behind the performed results needs to be considered. Each work is in the form of a musical question that is then given an algorithmic answer, precise in many ways and wide open in others. Like the science behind gravity we can experience it fully without in any way knowing the details of how it works. An object in flight and its downward trajectory has a flow and a beauty without of course operating outside of the realms of lawfulness of weight in gravitational space. So the music on the current album is something like that. The album gives us four compositions, one in two different versions. The function of instruments are stated and generally then the performers are free to choose, e.g., plucked instruments or sustaining instruments. "Necklaces (with with quieting rooms)" features guitars in ever varying pulse patterns around a fundamental tone and an electronics sustain constant that also exhibits a wide variability around core centers. The music fascinates in its definitive outlines and shifting grounds and foregrounds. "Mass and band" has a delicate contrapuntal flavor made out of virginal and harp interplay. 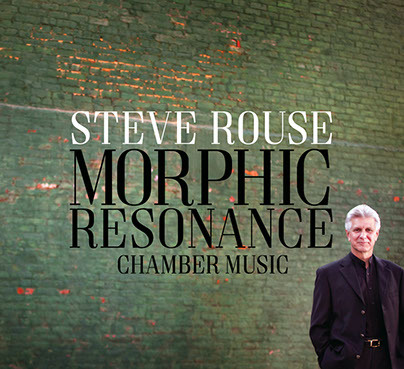 It has an eerie sort of ghostly connection with early music forms, yet comes through as acoustically vitalist Modernism in impact. "Chorale und finely tuned resonators" is a wonderfully sustained multipart meditation for electronically altered guitars--they are subjected to violin-like resonation which gives the tones broad envelopes that mingle together fruitfully. 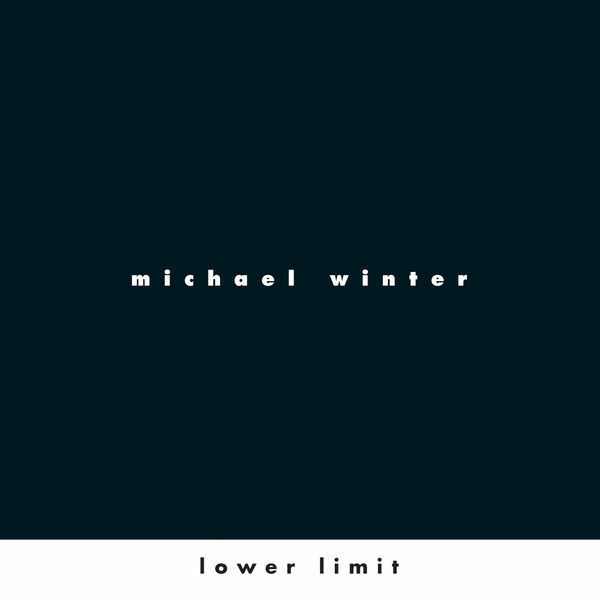 "Lower limit" utilizes two guitars creating a pulsating untempered tuning series of fundamentals and harmonics in a light feathery texture of continuation and transformation. "Necklaces (solo version)" for guitar is on the surface the very most elemental and therefore more challenging of the works on the album. There are subtle differences in articulation and sounding that if not followed closely may produce a kind of tedium. One in any given listen either focuses finely on the detailed niceties or loses the thread. It is there however if you take the effort to unravel it. There are microtonal shifts and timbral subtleties to explore here. Or not. Not everybody is going to zero in as needed. My wife hates anything of this kind. Yet she is not unmusical. Her loss. And so we come to the close of an album that demands of the listener a concentration but then rewards with inner poetic worlds of tone and shade. It may be a bit esoteric for some. Others who take the time for the music to work its way will find a good deal to contemplate and appreciate. So give it a try!